To achieve silver hair your own hair will need to be lightened. 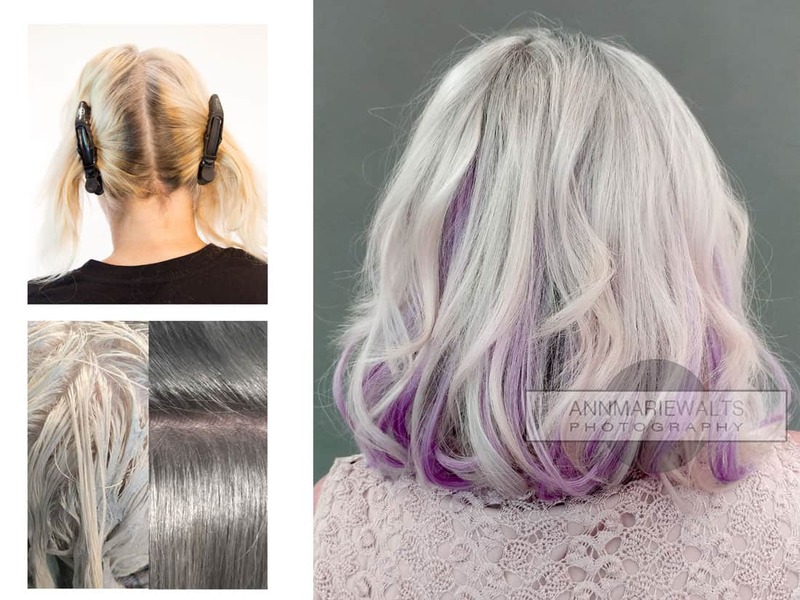 The fashion hair color trends are fun, however to realistically achieve the hair color shade that you want, you need to be prepared to spend some time in the salon. To achieve this look, it took about 3.5 to 4 hours bleach and tone my clients hair. This step took with a haircut took another 4 hours. Lastly, we had a blast with her personal photo shoot, after her hair was finished, curled and styled. A photo shoot would not be complete without experiencing getting your makeup done!